Super Amino 6000 delivers a perfect synergy of formulation, form and function. This high potency formula, packed into easy-to-swallow caplets, provides “ready-to-go” muscle-supporting fuel in a bottle. * It’s like having the very building blocks of muscle at your disposal – anytime, anywhere. Super Amino 6000 yields a potent 6 grams of super-high quality, time spectrum proteins and amino acids per daily serving. This formula is bolstered with the optimal 2:1:1 ratio of BCAAs, the most potent supporters for muscle development. In fact, the BCAA L-Leucine plays a direct role in turning on the processes that build protein in muscle fibers in response to training. First, super-fast absorbing whey protein isolate and fast-absorbing whey protein concentrate quickly disperse a flood of muscle-building amino acids. Then slow and super-slow releasing casein and Nutrateric® Extended Release Casein deliver a slow, steady stream of aminos for sustained muscle support. 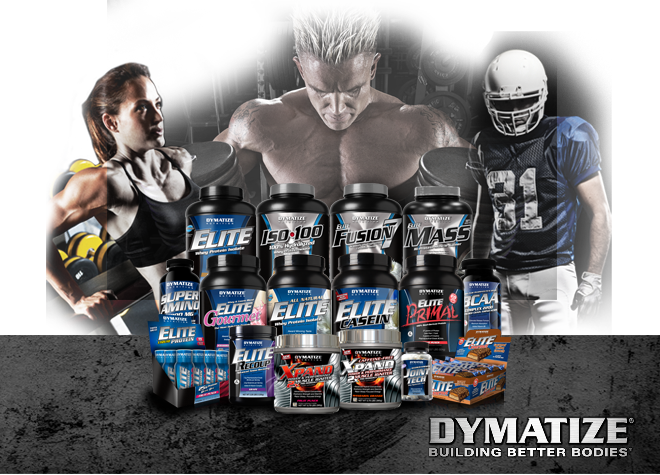 * A rich, 2.5 gram load of BCAAs, Glutamine and Arginine secures the muscle driving power of Dymatize Super Amino 6000.